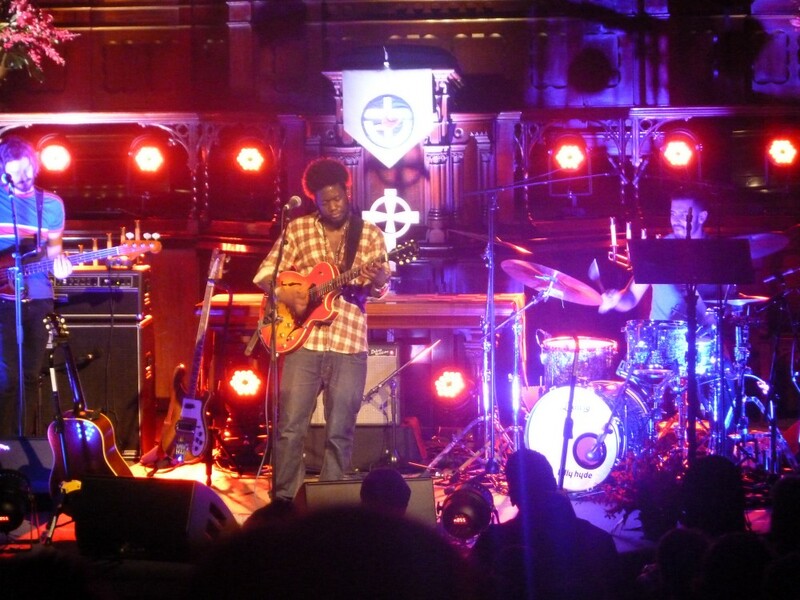 After missing most of Michael Kiwanuka’s set at Splendour last year, I vowed that I’d be first in line for tickets the next time he toured. As it happens, it seems I was sixth (I love it when tickets arrive and the ticket number is single digits). Heavenly Sounds tours have been going for some time, and I’d always wanted to go to one. We had tickets to see Lisa Mitchell last June, but ended up being in the middle of moving house when the show came around so had to sell the tickets. 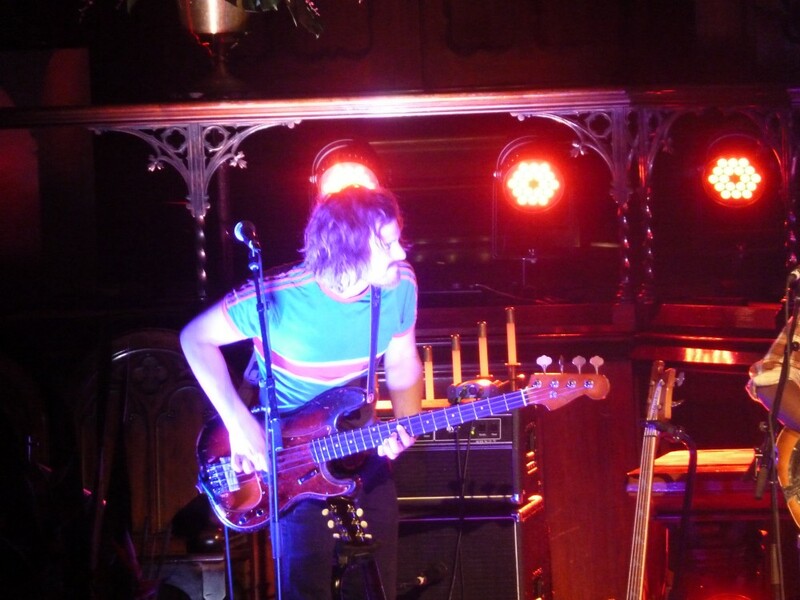 A gig in a church seemed a pretty cool thing to see. We only caught the last song of the support act, so can’t really comment. 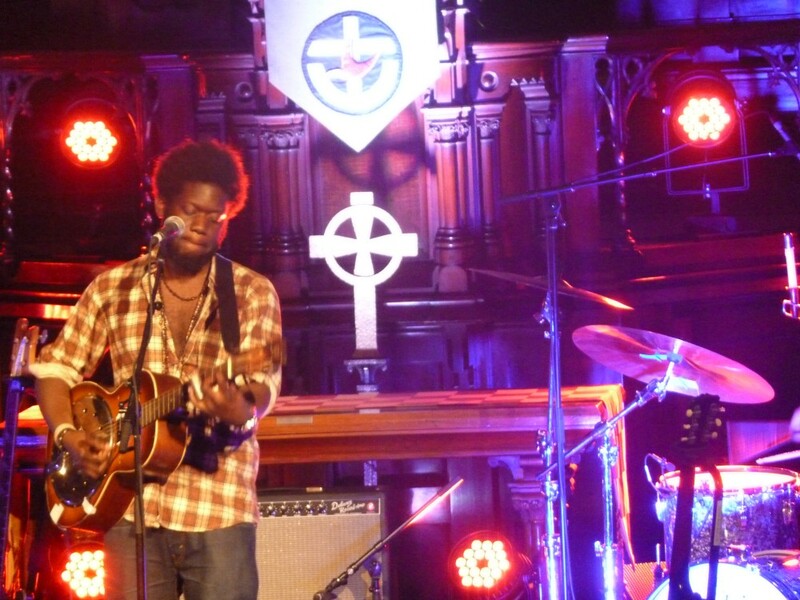 Michael Kiwanuka came out shortly after and opened with the same song that he closed with at Splendour. It’s title escapes me at this point, but if I find out what it’s called I’ll be sure to update you. 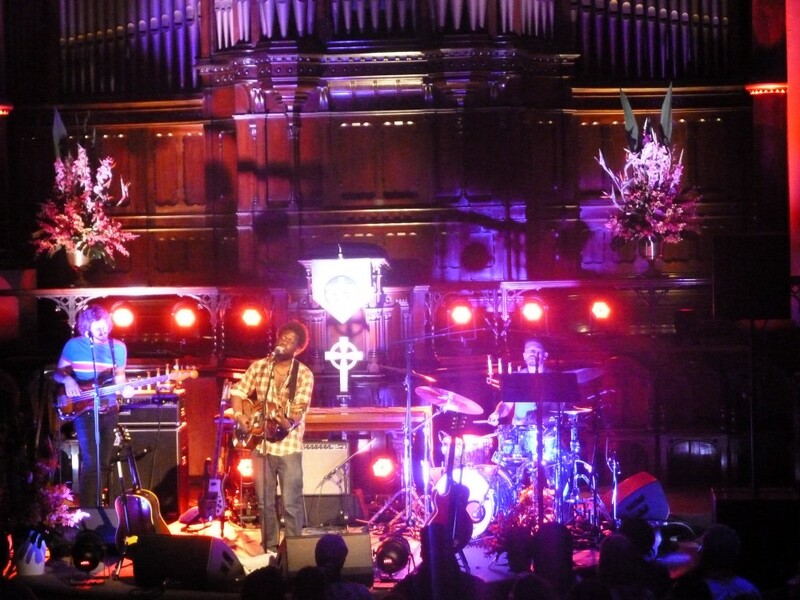 Home Again is a superb album, and tonight most of it was played. 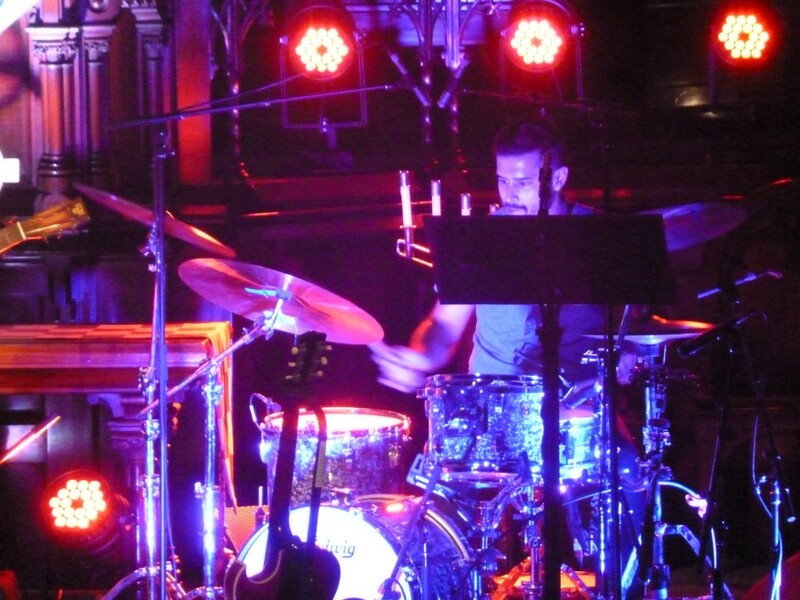 The setting of St Michael’s Church was a far cry from the festival environment of Splendour In The Grass, and although this audience was considerably smaller, they were certainly more appreciative. We were treated to a few new songs, all of which were sensational and confirm that the next album should be as awesome, if not awesomer than Home Again. 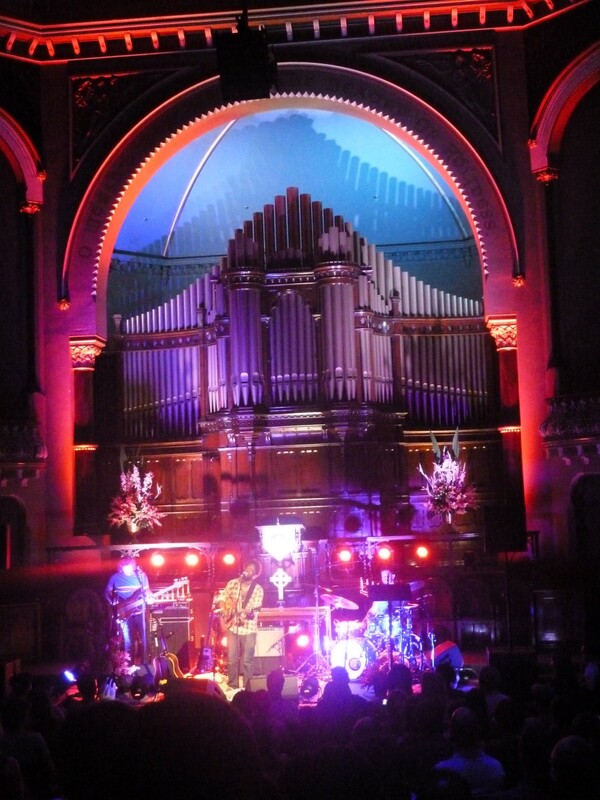 Kiwanuka comes across as an extremely ‘real’ performer- telling us which songs his ‘bosses’ liked, and which ones they didn’t. An extraordinarily talented guy, and one that I’m really looking forward to seeing again.